Learning Objectives. Chapter 17. Trading Currencies in Foreign Exchange Markets. 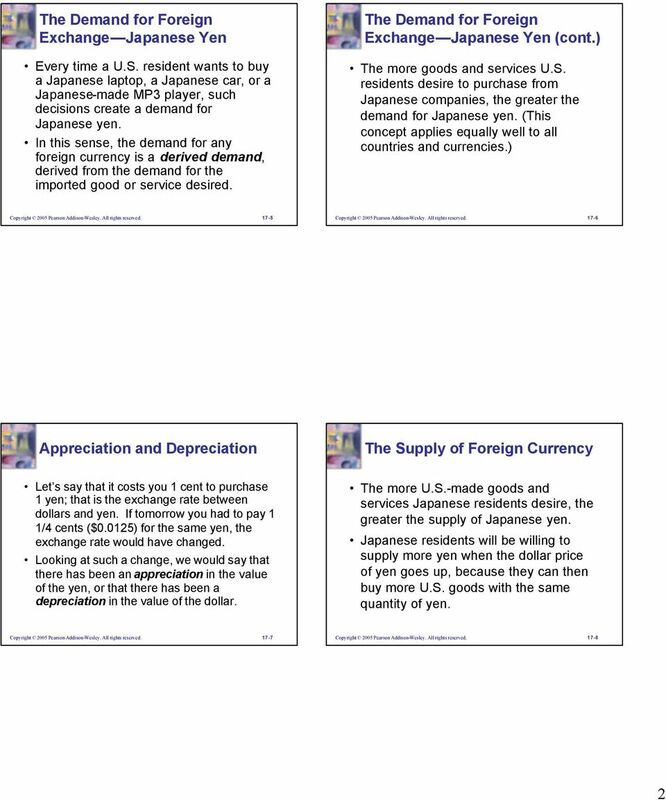 Trading Currencies in Foreign Exchange Markets (cont. Download "Learning Objectives. Chapter 17. Trading Currencies in Foreign Exchange Markets. 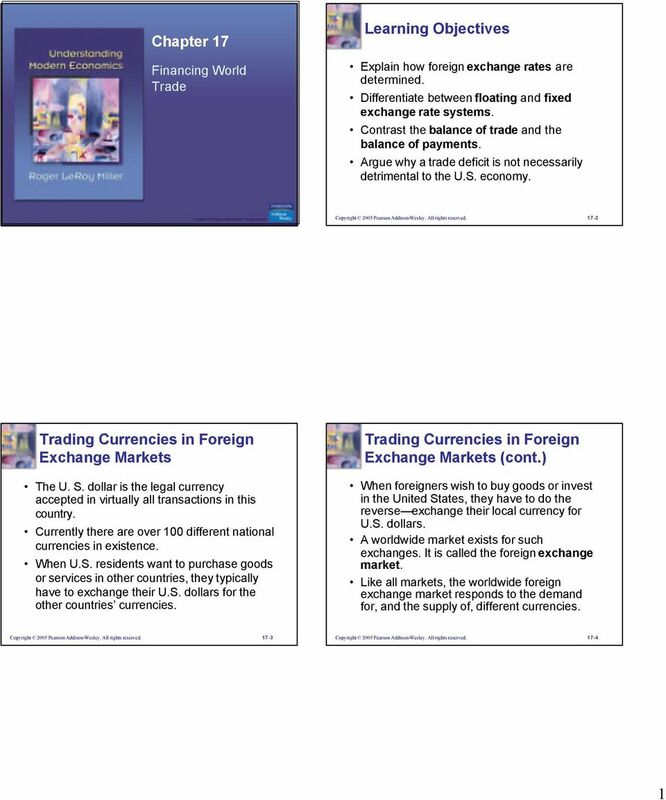 Trading Currencies in Foreign Exchange Markets (cont." Lecture 3: Int l Finance 1. 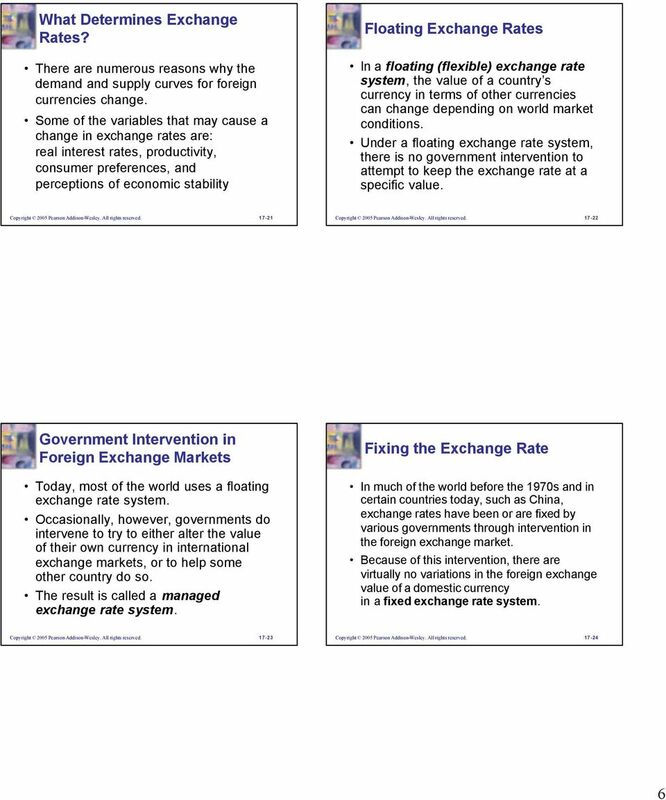 Mechanics of foreign exchange a. The FOREX market b. Exchange rates c. Exchange rate determination 2. 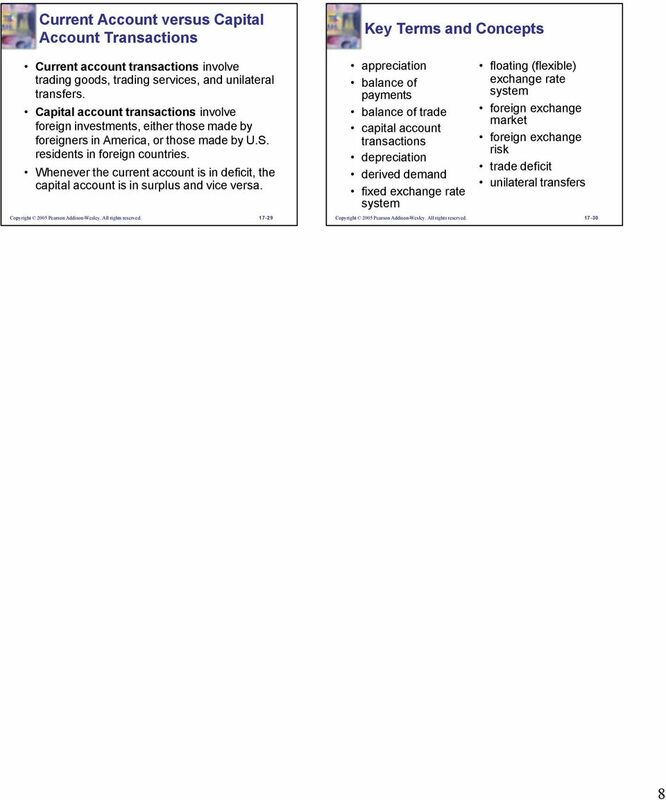 Types of exchange rate regimes a. Fixed regimes b. Floating regimes 3. For countries to trade goods and services, they must also trade their currencies. 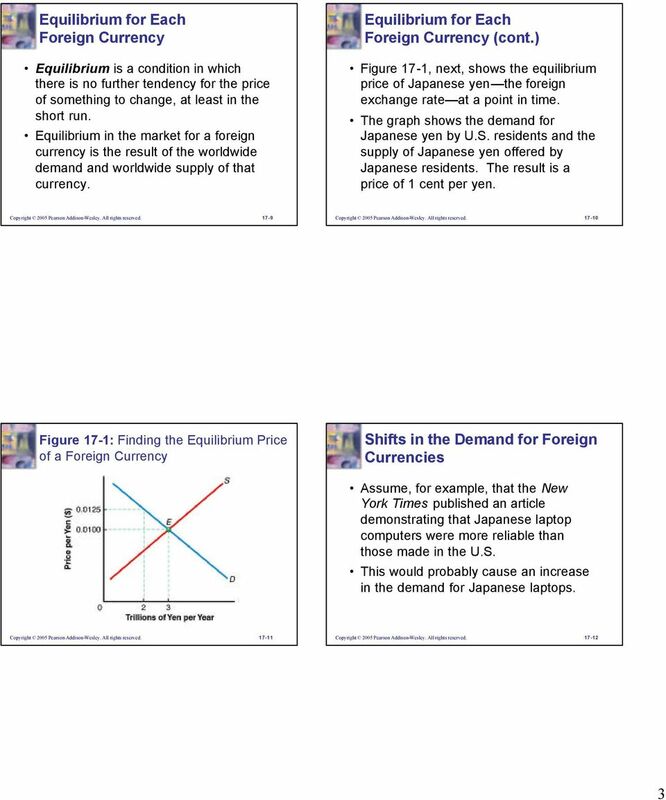 Macroeconomics, 10e, Global Edition (Parkin) Chapter 26 The Exchange Rate and the Balance of Payments 1 The Foreign Exchange Market 1) The term "foreign currency" refers to foreign I. coins II. notes III. Economics. Open-Economy Macroeconomics: Basic Concepts. Introduction. In this chapter, look for the answers to these questions: N.
Statement by Dean Baker, Co-Director of the Center for Economic and Policy Research (www.cepr.net) Before the U.S.-China Economic and Security Review Commission, hearing on China and the Future of Globalization. 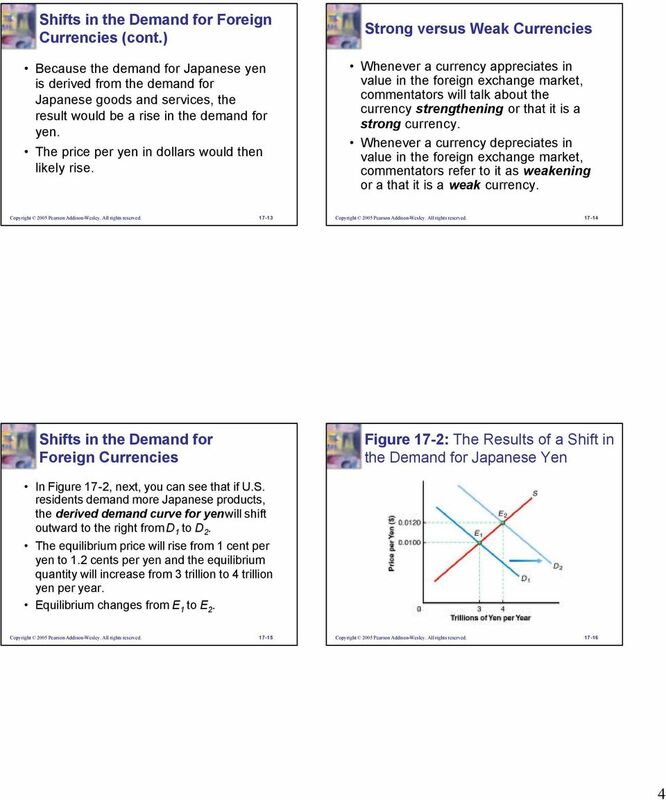 This chapter seeks to explain the factors that underlie currency movements. These factors include market fundamentals and market expectations. If the nominal exchange rate goes from 100 to 120 yen per dollar, the dollar has appreciated because a dollar now buys more yen. The U.S. Current Account Deficit and The Dollar Olivier Blanchard paper available on web page 1 The U.S. current account deficit: The basic facts Large and getting larger: -5.7% in 2004, -6.2% in 2005? The nominal exchange rate is the price of one country s currency in terms of another country s currency. These are some practice questions for CHAPTER 23. Each question should have a single answer. But be careful. There may be errors in the answer key! III. INTERNATIONAL TRADE A. Gains from Trade -- a history of thought approach 1. The idea of mercantilism (15-175) argued that a country s well-being is directly tied to the accumulation of gold and silver. 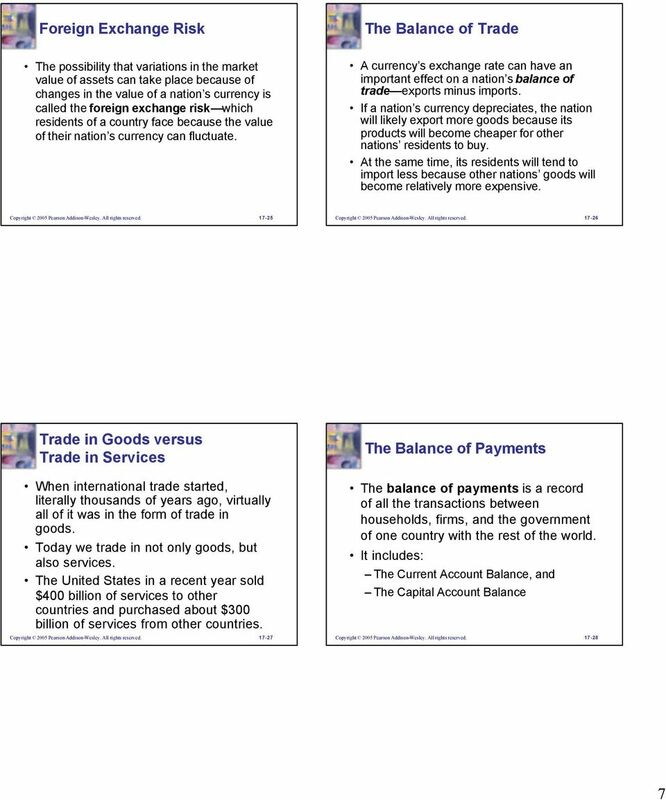 Economics 2 Spring 2016 Professor Christina Romer Professor David Romer LECTURE 26 DETERMINANTS OF NET EXPORTS April 28, 2016 I. OVERVIEW II. REVIEW OF TOOLS A. Exchange rates B. Balance of payments III. Chapter 17 review. Multiple Choice Identify the letter of the choice that best completes the statement or answers the question. Assignment 3 Answer Key (Maximum Points: 100) Multiple-Choice Questions Each question is worth 3 points. Explanation is not required.